Nasopharyngeal colonization with Streptococcus pneumoniae triggers dendritic cell dependent antibody responses against invasive disease in mice. Eur J Immunol. 2017 Mar;47(3):540-551. doi: 10.1002/eji.201646700. Epub 2017 Feb 1. Dommaschk A1, Ding N1, Tort Tarres M1, Bittersohl LF1, Maus R1, Stolper J1, Jonigk D2,3, Braubach P2, Lippmann T2, Welte T4,3, Maus UA1,3. Nasopharyngeal colonization with Streptococcus pneumoniae (Spn) is an important precondition for the development of pneumococcal pneumonia. At the same time, nasopharyngeal colonization with Spn has been shown to mount adaptive immune responses against Spn in mice and humans. Cellular responses of the nasopharyngeal compartment, including the nasal-associated lymphoid tissue, to pneumococcal colonization and their importance for developing adaptive immune responses are poorly defined. We show that nasopharyngeal colonization with S. pneumoniae led to substantial expansion of dendritic cells (DCs) both in nasopharyngeal tissue and nasal-associated lymphoid tissue of mice. 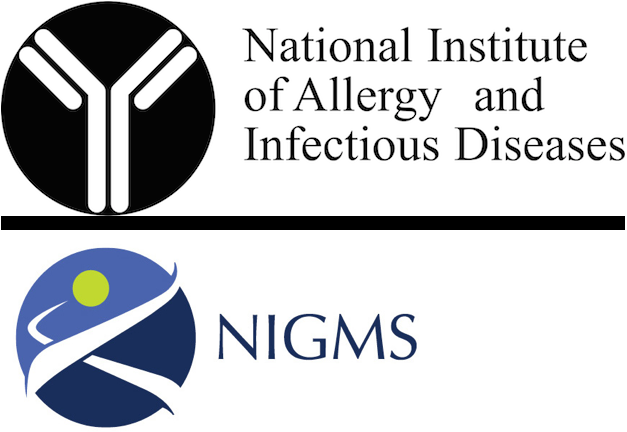 Depletion of DCs achieved by either diphtheria toxin (DT) treatment of chimeric zDC+/DTR mice, or by use of FMS-like tyrosine kinase 3 ligand (Flt3L) KO mice exhibiting congenitally reduced DC pool sizes, significantly diminished antibody responses after colonization with Spn, along with impaired protective immunity against invasive pneumococcal disease. Collectively, the data show that classical DCs contribute to pneumococcal colonization induced adaptive immune responses against invasive pneumococcal disease in two different mouse models. These data may be useful for future nasopharyngeal vaccination strategies against pneumococcal diseases in humans. Subcutaneous immunization with Streptococcus pneumoniae GAPDH confers effective protection in mice via TLR2 and TLR4. Mol Immunol. 2017 Mar;83:1-12. doi: 10.1016/j.molimm.2017.01.002. Epub 2017 Jan 12. Sun X1, Wang J1, Zhou J1, Wang H1, Wang X1, Wu J1, He Y1, Yin Y1, Zhang X1, Xu W2. The surface localized Glyceraldehyde-3-phosphate dehydrogenase (GAPDH) of Streptococcus pneumoniae is best known as housekeeping protein. Currently, GAPDH has been recognized as moonlighting protein and virulent factor. Therefore, we investigate whether GAPDH can act as a suitable vaccine candidate protein to prevent pneumococcal infection. In this study, mice received subcutaneous vaccination with recombinant GAPDH followed by challenge with D39 and 19F showing higher survival rate and lower bacterial loads in nasal washes and lung homogenates than control. Meanwhile, high titers of rGAPDH specific antibody and elevated titers of IgG subtype indicated that rGAPDH could elicit immune response in mice. Then, we investigated the mechanism that immunization with rGAPDH conferred protection against Streptococcus pneumoniae in host. In vitro experiments, rGAPDH induced phenotypic and functional maturation of BMDCs, because the high expression of CD40, CD86 and MHC II and the production of IL-12p70, IL-6 and TNF-α were observed after treatment with rGAPDH. However, the costimulatory molecules and cytokines declined significantly in TLR2-/- and TLR4-/- mice, indicating rGAPDH can be a potential ligand for both TLR2 and TLR4. Subsequent investigations suggested that rGAPDH could also activate the phosphorylation of MAPKs, PI3K-Akt and NF-κB. Meantime, upregulation of mir-146a and downregulation of mir-27a in BMDCs were observed. Taken together, our findings confirm that rGAPDH, a housekeeping protein, is also qualified as a vaccine candidate protein and rGAPDH activates BMDCs in a TLR2 and TLR4 dependent manner. Cord blood Streptococcus pneumoniae-specific cellular immune responses predict early pneumococcal carriage in high-risk infants in Papua New Guinea. Clin Exp Immunol. 2017 Mar;187(3):408-417. doi: 10.1111/cei.12902. Epub 2016 Dec 18. Francis JP1, Richmond PC2, Strickland D3, Prescott SL2, Pomat WS1, Michael A1, Nadal-Sims MA3, Edwards-Devitt CJ3, Holt PG3, Lehmann D3, van den Biggelaar AH3. In areas where Streptococcus pneumoniae is highly endemic, infants experience very early pneumococcal colonization of the upper respiratory tract, with carriage often persisting into adulthood. We aimed to explore whether newborns in high-risk areas have pre-existing pneumococcal-specific cellular immune responses that may affect early pneumococcal acquisition. Cord blood mononuclear cells (CBMC) of 84 Papua New Guinean (PNG; high endemic) and 33 Australian (AUS; low endemic) newborns were stimulated in vitro with detoxified pneumolysin (dPly) or pneumococcal surface protein A (PspA; families 1 and 2) and compared for cytokine responses. Within the PNG cohort, associations between CBMC dPly and PspA-induced responses and pneumococcal colonization within the first month of life were studied. Significantly higher PspA-specific interferon (IFN)-γ, tumour necrosis factor (TNF)-α, interleukin (IL)-5, IL-6, IL-10 and IL-13 responses, and lower dPly-IL-6 responses were produced in CBMC cultures of PNG compared to AUS newborns. Higher CBMC PspA-IL-5 and PspA-IL-13 responses correlated with a higher proportion of cord CD4 T cells, and higher dPly-IL-6 responses with a higher frequency of cord antigen-presenting cells. In the PNG cohort, higher PspA-specific IL-5 and IL-6 CBMC responses were associated independently and significantly with increased risk of earlier pneumococcal colonization, while a significant protective effect was found for higher PspA-IL-10 CBMC responses. Pneumococcus-specific cellular immune responses differ between children born in pneumococcal high versus low endemic settings, which may contribute to the higher risk of infants in high endemic settings for early pneumococcal colonization, and hence disease. © 2016 British Society for Immunology. Collectin Kidney 1 Plays an Important Role in Innate Immunity against Streptococcus pneumoniae Infection. Hwang I1, Mori K, Ohtani K, Matsuda Y, Roy N, Kim Y, Suzuki Y, Wakamiya N.
Collectins are C-type lectins that are involved in innate immunity as pattern recognition molecules. Recently, collectin kidney 1 (CL-K1) has been discovered, and in vitro studies have shown that CL-K1 binds to microbes and activates the lectin complement pathway. However, in vivo functions of CL-K1 against microbes have not been elucidated. To investigate the biological functions of CL-K1, we generated CL-K1 knockout (CL-K1-/-) mice and then performed a Streptococcus pneumoniae infection analysis. First, we found that recombinant human CL-K1 bound to S. pneumoniae in a calcium-dependent manner, and induced complement activation. CL-K1-/- mice sera formed less C3 deposition on S. pneumoniae. Furthermore, immunofluorescence analysis in the wild-type (WT) mice demonstrated that CL-K1 and C3 were localized on S. pneumoniae in infected lungs. CL-K1-/- mice revealed decreased phagocytosis of S. pneumoniae. Consequently, less S. pneumoniae clearance was observed in their lungs. CL-K1-/- mice showed severe pulmonary inflammation and weight loss in comparison with WT mice. Finally, the decreased clearance and severe pulmonary inflammation caused by S. pneumoniae infection might cause higher CL-K1-/- mice lethality. Our results suggest that CL-K1 might play an important role in host protection against S. pneumoniae infection through the activation of the lectin complement pathway. Autoinducer 2 Signaling via the Phosphotransferase FruA Drives Galactose Utilization by Streptococcus pneumoniae, Resulting in Hypervirulence. MBio. 2017 Jan 24;8(1). pii: e02269-16. doi: 10.1128/mBio.02269-16. Trappetti C1, McAllister LJ2, Chen A2, Wang H2, Paton AW2, Oggioni MR3, McDevitt CA2, Paton JC1. Communication between bacterial cells is crucial for the coordination of diverse cellular processes that facilitate environmental adaptation and, in the case of pathogenic species, virulence. This is achieved by the secretion and detection of small signaling molecules called autoinducers, a process termed quorum sensing. To date, the only signaling molecule recognized by both Gram-positive and Gram-negative bacteria is autoinducer 2 (AI-2), synthesized by the metabolic enzyme LuxS (S-ribosylhomocysteine lyase) as a by-product of the activated methyl cycle. Homologues of LuxS are ubiquitous in bacteria, suggesting a key role in interspecies, as well as intraspecies, communication. Gram-negative bacteria sense and respond to AI-2 via the Lsr ABC transporter system or by the LuxP/LuxQ phosphorelay system. However, homologues of these systems are absent from Gram-positive bacteria and the AI-2 receptor is unknown. Here we show that in the major human pathogen Streptococcus pneumoniae, sensing of exogenous AI-2 is dependent on FruA, a fructose-specific phosphoenolpyruvate-phosphotransferase system that is highly conserved in Gram-positive pathogens. Importantly, AI-2 signaling via FruA enables the bacterium to utilize galactose as a carbon source and upregulates the Leloir pathway, thereby leading to increased production of capsular polysaccharide and a hypervirulent phenotype. S. pneumoniae is a Gram-positive bacterium frequently carried asymptomatically in the human nasopharynx. However, in a proportion of cases, it can spread to other sites of the body, causing life-threatening diseases that translate into massive global morbidity and mortality. Our data show that AI-2 signaling via FruA promotes the transition of the pneumococcus from colonization to invasion by facilitating the utilization of galactose, the principal sugar available in the upper respiratory tract. AI-2-mediated upregulation of Leloir pathway enzymes results in increased production of capsular polysaccharide and hypervirulence in a murine intranasal challenge model. This identifies the highly conserved FruA phosphotransferase system as a target for new antimicrobials based on the disruption of this generic quorum-sensing system. Copyright © 2017 Trappetti et al. Mracsko E1, Stegemann-Koniszewski S, Na SY, Dalpke A, Bruder D, Lasitschka F, Veltkamp R.
Stroke-induced immunodeficiency increases the risk of infectious complications, which adversely affects neurological outcome. Among those, pneumonia affects as many as one third of stroke patients and is the main contributor to mortality in the post-acute phase of stroke. Experimental findings on post-stroke susceptibility to spontaneous pneumonia in mice are contradictory. Here, we established a mouse model inducing standardized bacterial pneumonia and characterized the impaired pulmonary cellular and humoral immune responses after experimental stroke. Bacterial pneumonia was induced by intra-tracheal inoculation with Streptococcus pneumoniae at different time points after transient middle cerebral artery occlusion (MCAO). Bacterial counts in lungs and blood, histological changes, and cytokine production in the lungs were assessed. Furthermore, we investigated the effect of pneumonia on stroke outcome. Intra-tracheal inoculation resulted in reproducible pneumonia and bacteraemia, and demonstrated post-stroke susceptibility to streptococcal pneumonia developing with a delay of at least 24 h after MCAO. Higher bacterial counts in mice infected 3 days after stroke induction correlated with reduced neutrophil and macrophage infiltration in the lungs and lower levels of pro-inflammatory cytokines in the broncho-alveolar lavage compared to sham-operated animals. Pneumonia increased mortality without affecting brain-infiltrating leukocytes. In this standardized mouse model of post-stroke pneumonia, we describe attenuated leukocyte infiltration and cytokine production in response to bacterial infection in the lungs that has a profound effect on outcome. Deciphering key residues involved in the virulence-promoting interactions between Streptococcus pneumoniae and human plasminogen. Moreau C1, Terrasse R1, Thielens NM1, Vernet T1, Gaboriaud C1, Di Guilmi AM2. Bacterial pathogens recruit circulating proteins to their own surfaces, coopting the host protein functions as a mechanism of virulence. Particular attention has focused on the binding of plasminogen (Plg) to bacterial surfaces, as it has been shown that this interaction contributes to bacterial adhesion to host cells, invasion of host tissues and evasion of the immune system. Several bacterial proteins are known to serve as receptors for Plg including glyceraldehyde-3-phosphate dehydrogenase (GAPDH), a cytoplasmic enzyme that appears on the cell surface in this moonlighting role. Although Plg typically binds to these receptors via several lysine-binding domains, the specific interactions that occur have not been documented in all cases. However, identification of the relevant residues could help define strategies for mitigating the virulence of important human pathogens, like Streptococcus pneumoniae (Sp). To shed light on this question, we have described a combination of peptide-spot array screening, competition and SPR assays, high-resolution crystallography and mutational analyses to characterize the interaction between SpGAPDH and Plg. We identified three SpGAPDH lysire residues that were instrumental in defining the kinetic and thermodynamic parameters of the interaction. Altogether, the integration of the data presented in this work allows us to propose a structural model for the molecular interaction of the SpGAPDH-Plg complex. PLoS Pathog. 2016 Dec 6;12(12):e1006038. doi: 10.1371/journal.ppat.1006038. eCollection 2016. Behler-Janbeck F1, Takano T2, Maus R1, Stolper J1, Jonigk D3, Tort Tarrés M1, Fuehner T4, Prasse A4, Welte T4,5, Timmer MS6, Stocker BL6, Nakanishi Y7, Miyamoto T8, Yamasaki S2, Maus UA1,5. Adhesion and invasion of Streptococcus pneumoniae to primary and secondary respiratory epithelial cells. Mol Med Rep. 2017 Jan;15(1):65-74. doi: 10.3892/mmr.2016.5996. Epub 2016 Dec 6. Novick S1, Shagan M1, Blau K1, Lifshitz S1, Givon-Lavi N2, Grossman N1, Bodner L3, Dagan R4, Mizrachi Nebenzahl Y1. The interaction between Streptococcus pneumoniae (S. pneumoniae) and the mucosal epithelial cells of its host is a prerequisite for pneumococcal disease development, yet the specificity of this interaction between different respiratory cells is not fully understood. In the present study, three areas were examined: i) The capability of the encapsulated S. pneumoniae serotype 3 strain (WU2) to adhere to and invade primary nasal‑derived epithelial cells in comparison to primary oral‑derived epithelial cells, A549 adenocarcinoma cells and BEAS‑2B viral transformed bronchial cells; ii) the capability of the unencapsulated 3.8DW strain (a WU2 derivative) to adhere to and invade the same cells over time; and iii) the ability of various genetically‑unrelated encapsulated and unencapsulated S. pneumoniae strains to adhere to and invade A549 lung epithelial cells. The results of the present study demonstrated that the encapsulated WU2 strain adhesion to and invasion of primary nasal epithelial cells was greatest, followed by BEAS‑2B, A549 and primary oral epithelial cells. By contrast, the unencapsulated 3.8‑DW strain invaded oral epithelial cells significantly more efficiently when compared to the nasal epithelial cells. In addition, unencapsulated S. pneumoniae strains adhered to and invaded the A459 cells significantly more efficiently than the encapsulated strains; this is consistent with previously published data. In conclusion, the findings presented in the current study indicated that the adhesion and invasion of the WU2 strain to primary nasal epithelial cells was more efficient compared with the other cultured respiratory epithelial cells tested, which corresponds to the natural course of S. pneumoniae infection and disease development. The target cell preference of unencapsulated strains was different from that of the encapsulated strains, which may be due to the exposure of cell wall proteins. Streptococcus pneumoniae resists intracellular killing by olfactory ensheathing cells but not by microglia. Sci Rep. 2016 Nov 9;6:36813. doi: 10.1038/srep36813. Macedo-Ramos H1,2,3, Ruiz-Mendoza S1,2, Mariante RM4,5, Guimarães EV5, Quadros-de-Souza LC1, Paiva MM6, Ferreira EO7, Pinto TC8, Teixeira LM8, Allodi S2,3, Baetas-da-Cruz W1,2. Comparative In Vivo Efficacy of Tedizolid in Neutropenic versus Immunocompetent Murine Streptococcus pneumoniae Lung Infection Models. Given that tedizolid exhibits substantial lung penetration, we hypothesize that it could achieve good efficacy against Streptococcus pneumoniae lung infections. We evaluated the pharmacodynamics of tedizolid for treatment of S. pneumoniae lung infections and compared efficacy of tedizolid human-simulated epithelial lining fluid (ELF) exposures in immunocompetent and neutropenic murine lung infection models. ICR mice were rendered neutropenic via intraperitoneal cyclophosphamide injections, then inoculated intranasally with S. pneumoniae suspensions. Immunocompetent CBA/J mice were inoculated similarly. Single-daily tedizolid doses were administered 4-hr post-inoculation (0-hr). Changes in log10CFU at 24-hr compared with 0-hr controls were estimated. Area under the free-drug concentration-time curve to MIC ratios (fAUC0-24/MIC) required to achieve various efficacy endpoints against each isolate were estimated using Hill-equation. Tedizolid doses in neutropenic and immunocompetent mice that mimic the human-simulated ELF exposure were examined. Stasis, 1-log reduction and 2-log reduction were achieved at fAUC0-24/MIC of 8.96, 24.62 and 48.34 in immunocompetent mice, respectively, and 19.21, 48.29 and 103.95 in neutropenic mice, respectively. Tedizolid 40 mg/kg/day and 55 mg/kg/day in immunocompetent and neutropenic mice respectively resulted in ELF AUC0-24 comparable to that achieved in humans following 200 mg QD clinical dose. These human-simulated ELF exposures were adequate to attain >2-log reduction in bacterial burden at 24-hr in 3/4 isolates in both models and 1.58- and 0.74-log reduction with the fourth isolate in immunocompetent and neutropenic mice, respectively. Tedizolid showed potent in vivo efficacy against S. pneumoniae in both immunocompetent and neutropenic lung infection models, which support its consideration for S. pneumoniae lung infections.